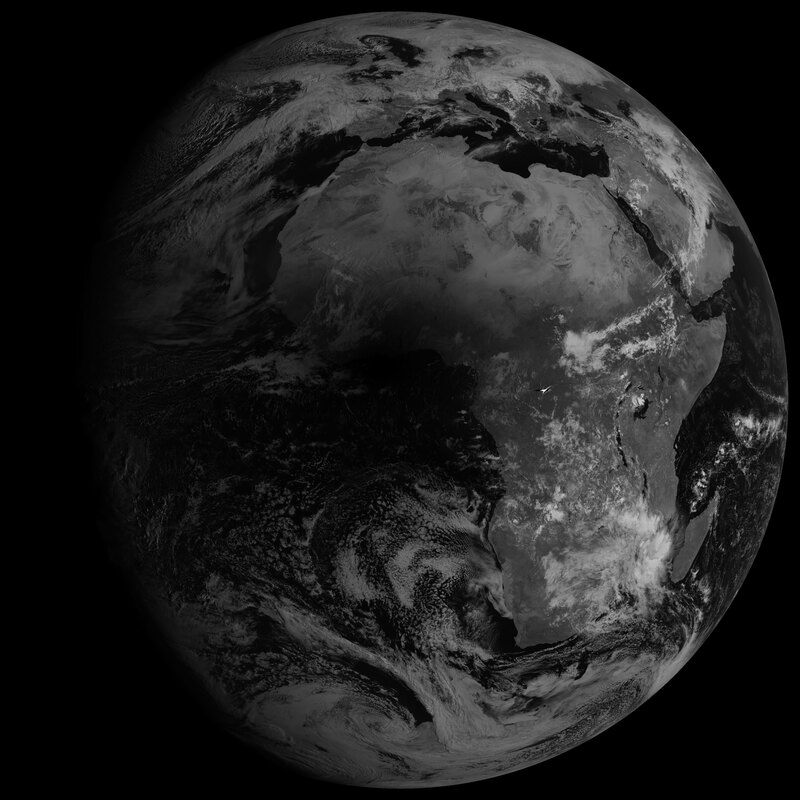 Here is a 4:1 resized image from EUMETSAT Meteosat-8 satellite, taken at 09:45 on 2006 Mar 29. 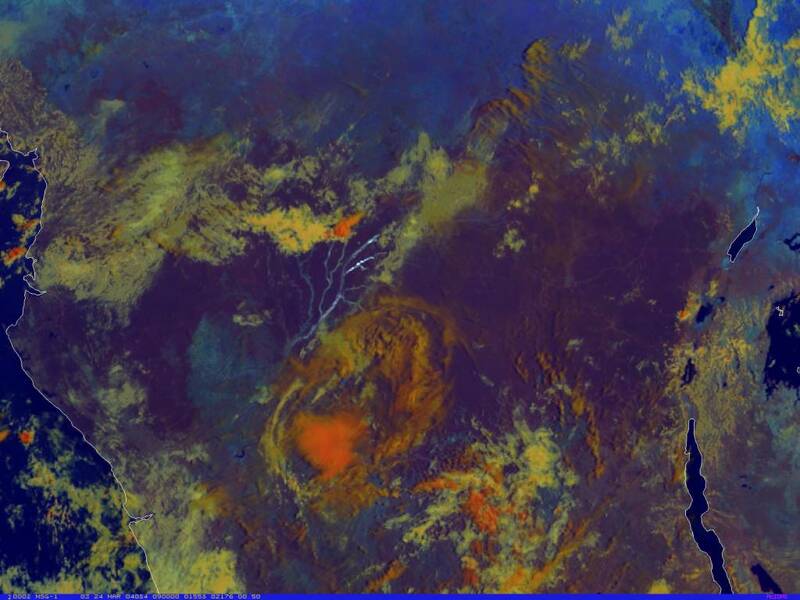 The image has been processed using my GeoSatSignal software to combine the visible channel and thermal channel data to produce this false-colour image. For a short period, there is also a full-resolution version (2.4MB) of the same image available to download. Mike McCaw e-mailed me and said he had noticed an artefact on the 0845 and 0900 images. 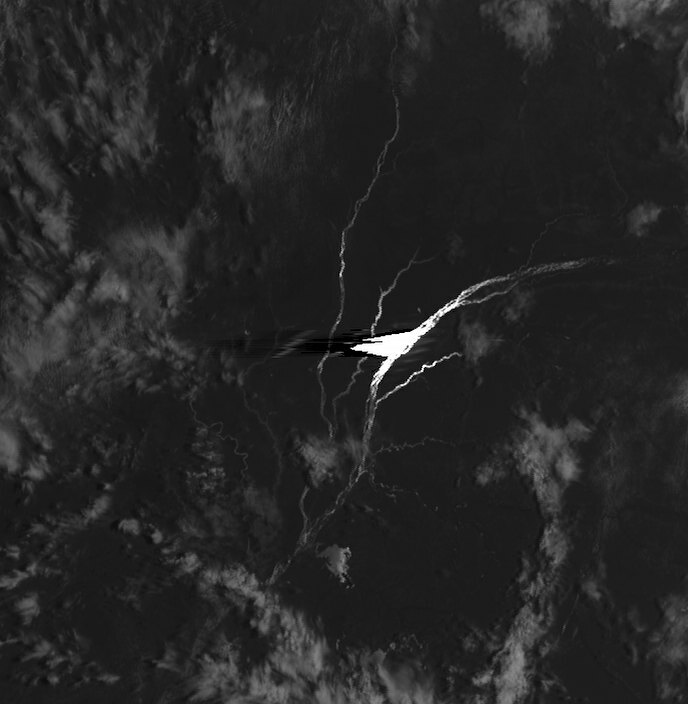 This appears to be some sort of solar reflection from an area of water as part of the river Congo tributaries, but it is unusual to see an area of water sufficiently still to cause this. So perhaps it's a solar intrusion (direct sunlight getting past the optics onto the detector), but it does look awfully like it is related to the river system. What surprises me about this image is the apparent brightness of the reflection - normally the surface of water is not still enough to make it into a flat reflector! Here is a very detailed crop from the 1km resolution HRV (high resolution visible) channel 12 data. below), but of course it is more dramatic around the "fringe" of the eclipse. It is, as you rightly say, sunglint off the Congo river /lakes, the intensity and shape of reflection being modified depending upon the local roughness of the water surface. 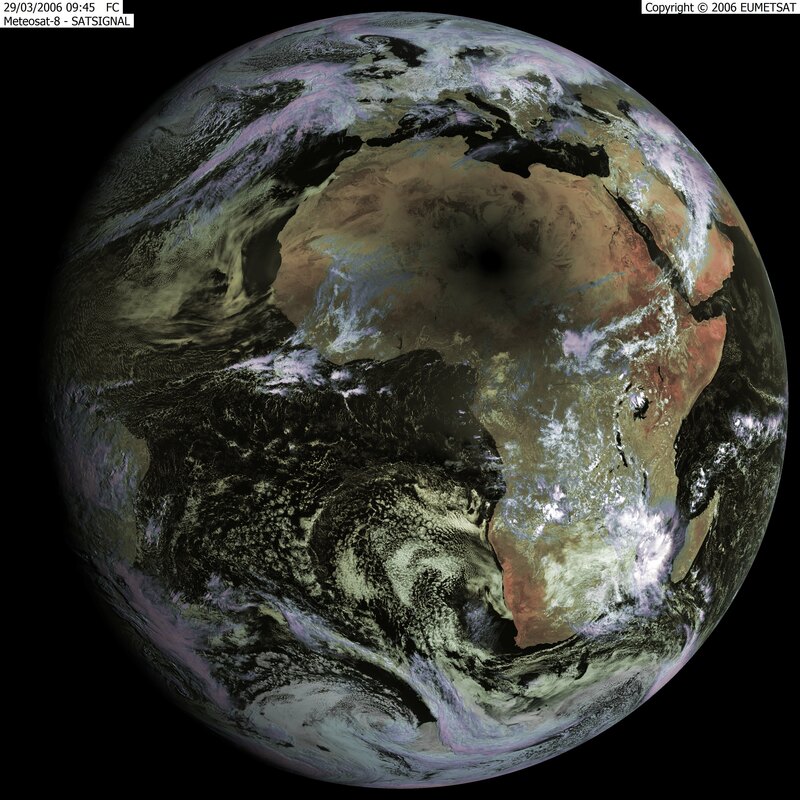 It is quite interesting to prepare an animation loop comprising a few images just prior to and immediately after this feature is seen, and one actually sees the glint reflected from many rivers and lakes, travelling from east to west across this central African region.